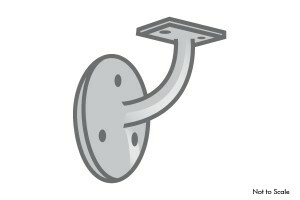 Handrail bracket with triple screw wall mount and 2 screw mount under rail. Non-adjustable. 2-5/8″ offset measured from center of rail to wall. SKU: 3004. Category: Stair Parts.